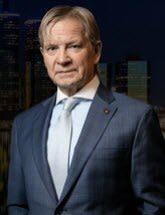 I began practicing law in 1989 after earning my law degree from what was then Detroit College of Law and my admission to the State Bar of Michigan. Since I began my legal career, I have earned a reputation for providing outstanding service to my clients. I hold a “Superb” rating through Avvo, I have been voted by my peers as a Super Lawyer, and the National Association of Distinguished Counsel has designated me as a Top One Percent Lawyer. I have also been involved in numerous high-profile cases both in State and Federal Court. Having served in the United States Marine Corps, I bring a disciplined mindset, work ethic and attitude to the defense of those accused of crimes. If you want an attorney who will treat you with respect and will provide aggressive representation, you can turn to the law firm of Michael A. Rataj, PC. I pride myself on treating all of my clients as if they were members of my family. This approach is unusual in criminal law, but it ensures that my clients receive the highest-quality representation that I can deliver. If you would like to learn more about the benefits of choosing my law firm, you can take advantage of my offer for a free initial consultation. Please also go to my website at www.michaelrataj.com for a more comprehensive review of my credentials.